Join Lucas Soul on his quest to become a warrior.1624. Edo period. Japan.When hunted half-breed immortal Lucas Soul hears tales of legendary samurai Musashi Miyamoto, he sails to Japan to convince the great man to take him on as an apprentice.Musashi refuses to agree to his request, leaving Soul with no option but to shadow the samurai and repeatedly challenge him to duel in the hope of proving his worth. 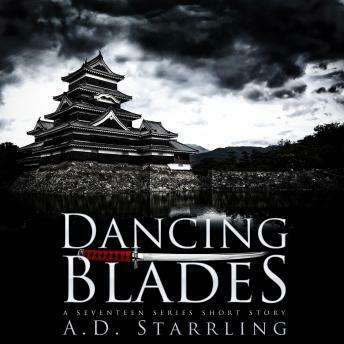 But things takes a sinister turn when Soul stumbles upon a plot that threatens the life of Musashi's son.Can the immortal rescue the young man and change the master's mind?Dancing Blades is a short story set in AD Starrling's supernatural thriller series Seventeen. If you like high-octane adventures that combine science and fantasy, then you'll love the world of Seventeen.Get this gripping short story and continue the epic series today!